I'm not any sort of expert on insects, but I've been on plenty of fishing trips in bug-infested places, from the Everglades to the Amazon. Since bugs seem to like me, I have had to experiment with a lot of different approaches to avoiding getting bitten. Besides the discomfort, bugs can carry quite a number of serious diseases including malaria, dengue fever, Lyme disease, West Nile virus, leishmaniasis, and who knows what else. One thing I have found is that no repellent is 100% effective. 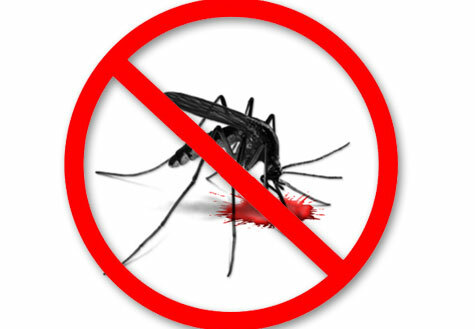 Repellents with DEET are very effective against mosquitoes, but if you go into an area that is heavily infested, you will likely still get a couple of bites even if you are slathered in 100% DEET. Even if you repel 99% of the bugs, you could still end up with 10-20 bites in some places. Over the years I have adopted the approach of covering my skin as much as possible with insect repellent clothing. Putting a thick barrier between you and the bugs seems to be the only approach that is completely effective. If the clothing repels the bugs, that is even better. See below for some insect repellent clothing. You can also treat your clothes with permethrin to make them repel mosquitoes, fleas, and ticks. See below for some products that allow you to do that. Permethrin is odorless and I have not experienced any ill effects from it even with kids. Some mosquitoes will bite through thin clothing so permethrin provides another layer of protection. Unfortunately, it is very difficult to cover every inch of your skin with clothing. You can do full body netting, but that is not particularly comfortable or practical most of the time. Therefore, you are probably going to have to supplement with some sort of repellent. Repellent with DEET is most effective although you probably don't want it on your skin for long periods of time. You definitely don't want it in your eyes, so be careful putting it on your forehead if you are going to sweat. Also, it degrades braided line quickly so make sure you don't get it on your line. In my experience you need a repellent with at least 25% DEET for it to be effective. More is better. Some repellents have a time-release action, which is a good idea and helps you get away with a lower percentage of DEET and lasts longer. There are plenty of other repellents that don't have DEET, and instead use all kinds of things from picardin to peppermint, but I haven't found those to be as effective as DEET. However, they won't eat your fishing line, so that is something. One thing I found that seems to significantly reduce (although not completely eliminate) bites is the wrist band shown below. It's a nice thing to use when you don't want to have DEET on your skin. I have not found any repellent, even 100% DEET, that is particularly effective against certain sandflies/no-see-ums. These little buggers are hard to see, and you usually don't feel their bite right away, but their bites stay itchy much longer than mosquitoes. I can't stand these things and I have seen them land on my skin when it was still wet with 100% DEET repellent and then bite me. The good news is that they are very small and can't really bite through clothes, so if you can have at least a thin layer of clothing over all of your skin you can generally avoid bites. When in jungle or forest areas I like to tuck my pants into my socks. It's not the greatest fashion statement, but it prevents ticks and other bugs from going up your legs.